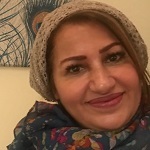 Randa Shanableh is a bilingual IT and Soft Skills trainer and coach. She is a management professional with extensive and prolific experience across training, consultancy and development, customer relationship management and administration. She holds Lean Six Sigma GreenBelt certification, PMI Process Management Institute, UK and project management and has MBA and Software Engineering degrees from Heriot-Watt University, UK, as well as hands-on experience in conducting training courses and workshops for corporate, governmental and private institutions. She trains and coaches in Arabic and English and is an effective simultaneous translator based in Dubai. Randa is an NLP Practitioner and an expert in mentoring and coaching through Emotional Intelligence, having worked with academic institutions such as the University of Qatar, the American University of Sharjah and the Entrepreneurship Academy in Dubai in consultancy, training and winning awards criteria. Client history and assignments include: Dubai Government | Armed Forces, UAE | SABIC Saudi Arabia | JAFZA | Etisalat Saudi Telecommunication Co | Ministry of Health | Ministry of Interior | National Social Security | Central Bank of Ras Alkheimah | Tasheel, Dubai | Dubai Police | Ministry of Presidential Affairs, Abu Dhabi | Kuwaiti Security Guards, Kuwait | Ministry of Education, Dubai | Saudi Gas Company, Saudi Arabia | Saudi Municipality, Saudi Arabia | Cement Company, Oman | Ministry of Petroleum, Oman | Khorfakan Hospital, Khorfakan | Ministry of Labor – Kalba. strength in supporting strategy building and project managing. Randa has worked on consultancy projects through restructuring and strategic management to change management courses. She has been developer and content builder for numerous courses including curriculum writing for business courses at the Higher Colleges of Technology. She was involved in the Education without Borders Conference 2011 and has coached international students and graduates in the workplace. Randa is a certified Business Development consultant and a Certified Trainer from the American Association International Management, NY, USA. She is also a Certified English Language Instructor – Cambridge University, UK. Randa was also a Keynote Speaker for the Excellence Program of the Executive Office in Dubai Government in The Role of IT in Employee Performance – Sheikh Mohammed Executive Office, Dubai 2010.